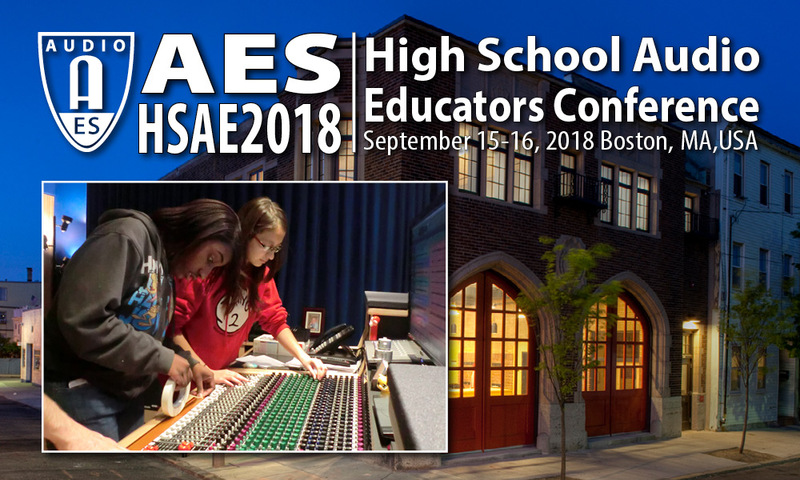 This conference will present a remarkable opportunity to connect with audio professionals and educators - build skills around pedagogy, envision next level facilities, and create transformative opportunities for young people in audio. All profits from this conference will be donated to the AES Educational Foundation for student scholarships. This conference is presented in cooperation with the Education Committee of the Audio Engineering Society.